Emergency Dentists USA is your premier resource for choosing an emergency dentist for your dental emergency. With convenient listings of dental clinics in the Tacoma area, you can easily choose a great emergency dentist without the hassle of trudging through an unfamiliar city. Use our 24-hour dental emergency hotline to speak with an operator who can help you to schedule your first dental appointment or point you in the right direction for the dental services that you require. Our emergency dental hotline provides a live person to answer your Tacoma emergency dentist questions and to make choosing a great dentist even easier. Great website, glad I found it before I had such a severe toothache I couldn’t talk! I knew what to do in that type of emergency from this site which was good info to have. There are many different options when it comes to emergency dentistry in Tacoma, WA which are outlined below. Walk-in dental clinics – Dental clinics that allow patients to come in without an appointment are not common in Tacoma, but Down to Earth Dental provides this service for anyone with a dental emergency. Emergency 24-Hour Dental Clinics – Clinics that specialize in being open 24 hours a day are usually attached to a university or hospital. Choose your favorite Tacoma hospital if you have a dental emergency that occurs late at night when Tacoma emergency dentists are not available. After Hours Dentists – After hours dental clinics are available in Tacoma. Visit Emergency Dental Care USA – Federal Way WA when you need a dentist who offers hours as late as 9 p.m. and stays open on the weekends. Emergency Dentists USA provides a unique service for our clients. Our comprehensive listing of Tacoma emergency dentists makes it simple to choose a great emergency dentist no matter when your dental emergency strikes. Call our 24-hour dental hotline to speak with a live operator who can help you to select a great dentist and even make that first appointment for you. Description: Call us today to find the perfect emergency dentist in Tacoma for whatever your situation may be. We make the process simple by maintaining a relationship with thousands of dentists throughout the nation. Speak to the operators 24 hours a day, 7 days a week and make an appointment with a dentist near you! Find Washington 24 hour dentists today. Description: Dr. Prato offers multiple evening and late hour appointments for patients that need some relief immediately and with their open attitude about walk-in emergencies, you should find yourself in good hands. This family-oriented practice is geared to satisfy your many dental needs and if you need comfort, oral sedation and nitrous oxide is available. Description: Advanced Dental Care is an ideal dentistry practice for those who live in the Tacoma area. Not only does it rank as one of the highest rated emergency care centers but it offers after hours on Wednesdays until 8 PM. If you have an emergency make sure you call ahead of time and schedule an appointment. Trust me, with a dentistry practice this good you will get relief in no time! Description: Puyallup Smiles offers emergency services and has extended hours 4 days a week making them a great choice for an emergency dentist near Tacoma. Make sure to check out their emergency services page on their website for helpful information for any dental emergency you may face. Description: Emergency Dental Care is your affordable emergency dentist in Tacoma. Located near the Tacoma Mall, above Kantor Diamond. All patients are welcome, emergency or not. They offer convenience and simple savings! Call for an appointment or same-day dental care. Have your paperwork, health records, and insurance information ready. Gathering this paperwork prior to your visit makes it easier for your Tacoma emergency dentist to choose the best treatment plan for your dental emergency. Arrive 15 minutes early to facilitate filling out paperwork. Make sure you know how you’re going to pay and if the dentist accepts your form of payment, cash, credit, or insurance. Some emergency dentists even offer a low-interest payment plan for patients with extensive dental repairs. Make sure you know if your insurance is accepted at this dentist. A variety of dental insurance plans are accepted at most emergency dental clinics. This saves you money when the time comes to pay your dental bill. Just like any medical visit, make sure you know if you have any allergies to medicines. Bring a current list of your medications with you to visit your emergency dentist. Common dental emergencies include soft tissue injuries to the lips, tongue and gums, brackets, braces or wires that are loose or broken and foreign objects caught between the teeth. You might also experience a tooth that is cracked and requires immediate repair. Your Tacoma emergency dentists are prepared to deal with any dental emergency that occurs while you are in the city. 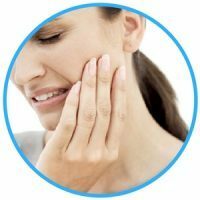 An emergency toothache is definitely a common dental problem that brings many patients to their dental office. If you are experiencing a toothache, first rinse your mouth with water and floss gently between the teeth. Then, use a cold compress outside of the mouth to lessen any swelling or pain in the jaw or cheek or lips. Do not place an aspirin or other painkillers between the cheek and gum, as this can cause chemical burns of the soft tissues. A knocked out tooth is a dental emergency that sometimes comes from a fall or sports injury. In these cases, visit an emergency room connected to a hospital to ensure that you have no other more dangerous injuries. If you can find the tooth, rinse it carefully with plain water and place it in a container of milk or Save-a-Tooth. Avoid touching the root of the tooth. Rinse your mouth with water and use a moistened piece of gauze to control any areas that are bleeding. Visit your Tacoma emergency dentist as soon as possible to save that tooth. Objects that are caught in the teeth can be quite painful. Rinse your mouth with water and floss the area gently to remove any food debris or other items that are stuck between the teeth. Do not use a pin or other sharp object to pry between the teeth as this can cause damage to the tooth and gum. Do not place aspirin between the tooth and gum, this type of medication can cause chemical burns to the soft tissue of the mouth. You might require an emergency tooth extraction if your tooth has decayed beyond the point where it can be repaired by a dentist. It is important to have the procedure accomplished as soon as possible to avoid complications and additional pain. Your Tacoma emergency dentist usually begins the extraction by performing an examination of the tooth and taking an x-ray to determine the extent of the damage. 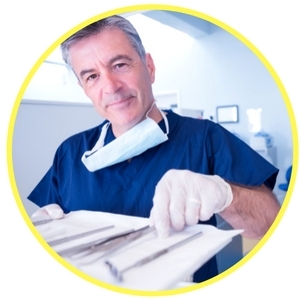 He or she will then choose a local or general anesthetic to keep you comfortable during the extraction. A special tool is used to remove the tooth from the gum, and the gum is stitched close using a type of suture that dissolves over time. 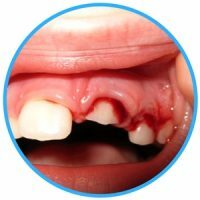 A small piece of gauze is placed over the gum to control any bleeding. Full healing usually occurs within one to two weeks of the procedure. Following your extraction, it is important to take any medications as prescribed by your emergency dentist. Try to avoid eating solid foods or drinking from a straw for at least the first few days following the procedure. Do not drink alcohol or smoke until the gum is fully healed to avoid complications. Your emergency dentist can explain your options for replacing the tooth, if necessary. It is important to visit the hospital emergency room if you have a dental emergency that stems from a fall or a sports injury. This type of dental emergency can include a more dangerous injury like a concussion. Visit your Tacoma emergency dentist if you have a dental emergency that does not include damage or injury to any other part of your body. An emergency dentist can handle most common dental emergencies and generally charge less than the hospital emergency department. Emergency dentists are dental specialists and the hospital emergency room is really not designed to treat a common dental emergency like a toothache. Use the American Dental Association’s website to ensure that the Tacoma dentist that you choose is properly licensed and certified for the Washington area. 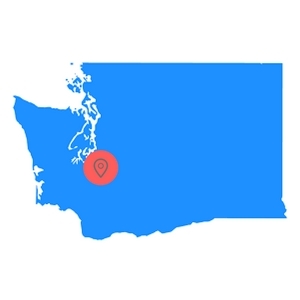 Check out the Washington Dental Association’s website located here: to learn more about proper dental checkups, dental care and flossing and dental associations and events in the state of Washington.